Powerful Boolean Search Engine – Search by: Word, Phrase, Expression - including Grammar. Display Search Results by - long excerpts of text, short excerpts, or just a list of the sources. Display any combination of Database Texts on screen – and see all relevant groups of commentaries. Save your search results and other texts, so you can view them or print them with a word processor. Select portions of Texts to add to your notes and Class Handouts – saves typing! Includes Biographies of hundreds of Rabbis from medieval times to the present. 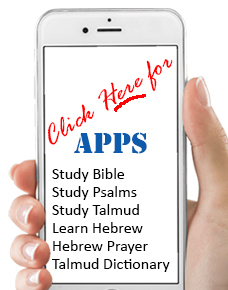 Calculate Gematrias and find Biblical verses or expressions with the equivalent Gematria. Includes Biographical Sketches of the Rabbis in the Mishna & Talmud. Display biographies of Talmudic Rabbis and information about their teachers and disciples. Display Hebrew-Gregorian calendar Plus Yahrzeit and Bar Mitzvah Calculator. Display Biblical Verses for Names.